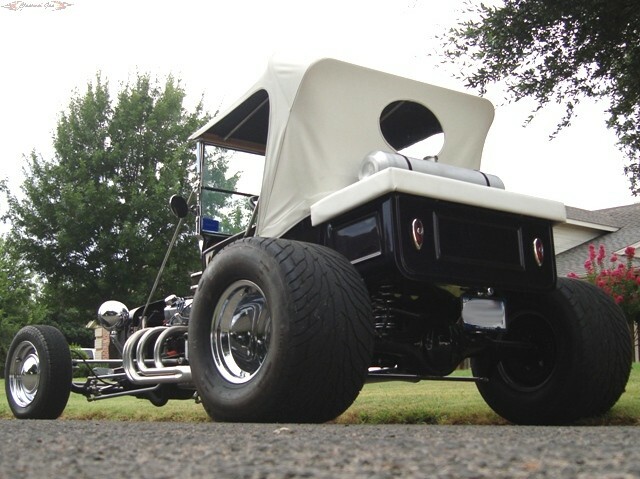 There is nothing sissy about a loud, rumbling T-Bucket. 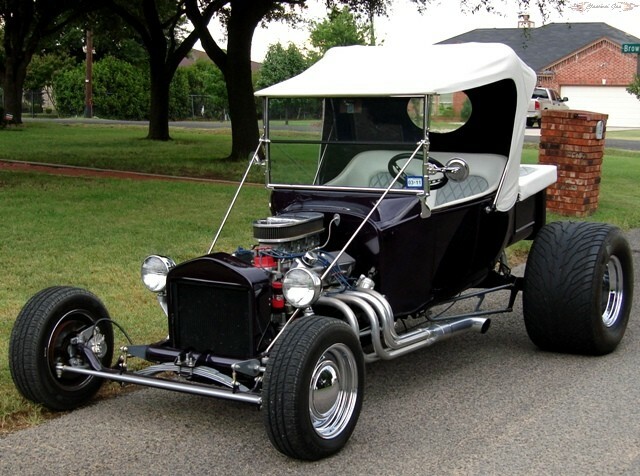 This classic 1923 Ford T Bucket has one tough look and was very well built. It is a Speedway Motors kit and was put together using only the best components. It is coated in a deep dark Purple with light ghost flames. 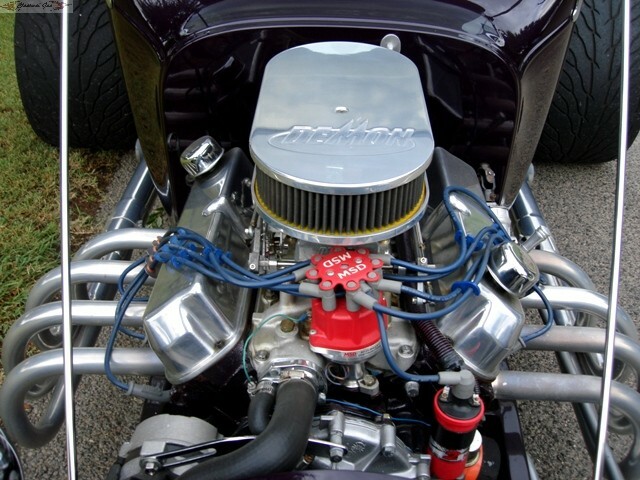 The chassis and 9\\� Ford rear end (with 350 gears) are also painted in a matching Purple. The white top is in place and very clean. The tall extended windshield helps limit any wind issues and gives the top a good rake. All of the exterior chrome and trim is in great condition and looks perfect. The exterior lights are all working with no problems. It has a great stance and rides on chrome smoothy wheels with Mickey Thompson (31�18.00R15LT) tires in rear and Michelin (P175/70R14) in front. The 302 V8 roars to life and will have you thinking there\\�s a big block in its place. 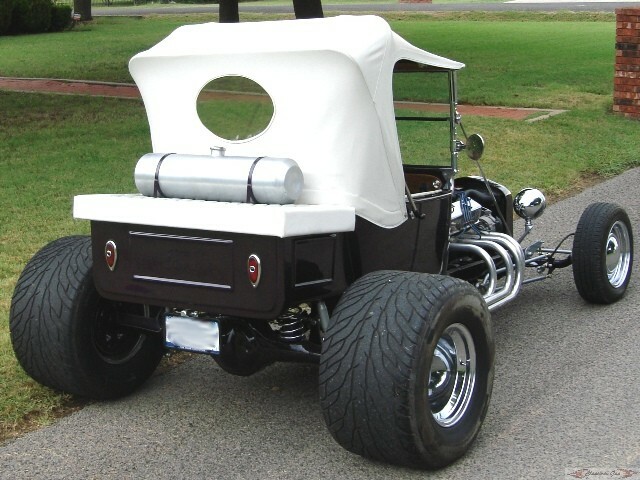 It is topped with tall chrome valve covers and a chrome Demon air cleaner which give it a nice clean look. It has an amazing sound through fully ceramic coated headers. It has gas shocks with chrome springs in rear which look great when your driving behind the car. 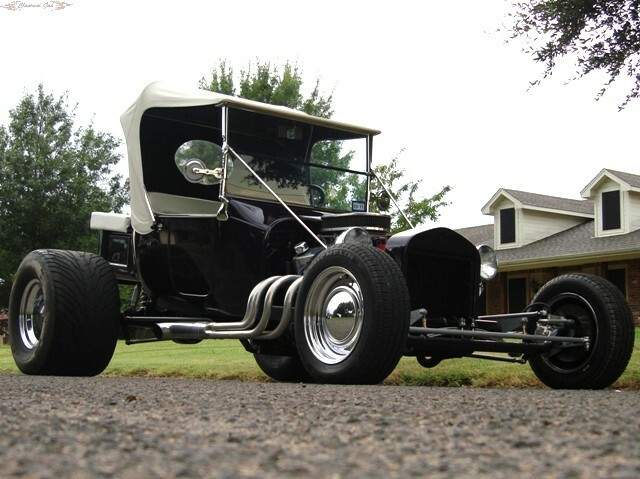 The straight axle front end with manual steering is 100% old school hot rod but was still fully polished out for that modern look. The automatic transmission with overdrive and 3200 stall makes highway driving and cruising around town ideal. Check out the following table to get a breakdown of the engine components: Bored .20 542, 563 with 286 & 294 duration cam Cast iron heads 194/160 Stainless steel valves Crane springs Demon 3 Deuce carburetors Hypertec pistons Transmission cooler MSD distributer MSD wires and control box The interior is finished out in White and Gray vinyl with diamond tuck and roll style inserts. 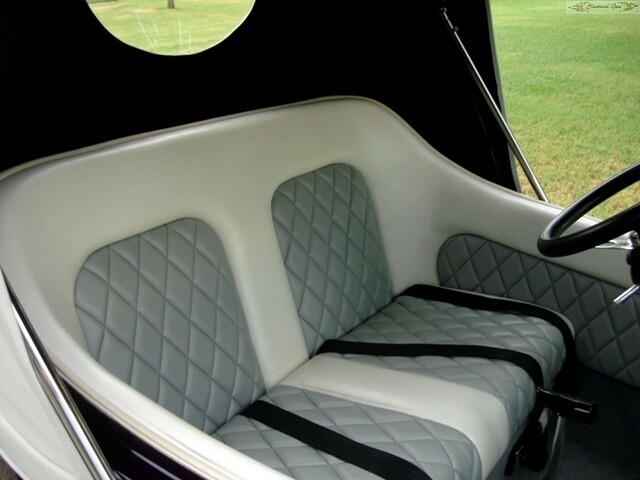 It looks great and the bench seat is very comfortable. This custom could be yours for the reduced price of $24,500.00! NOW REDUCED DOWN TO $23,000.00!